It begins with a plant. It begins with Baz. In the old days of the Empire, only talented Casters could eat the Baz grains and tap the power that lay in the seed. Bazza'Casters were powerful, legendary figures with abilities that were limited only by their talent, skill and imagination. These days, Casting is for everyone. Bazza'Jo brought the power of Baz to every corner of the Empire, using it to bring all the lands of the world together. Because of Bazza'Jo, everybody can Cast. Everybody does. Living in the furthest reaches of the Empire, Raina Ratherham doesn't care about Casting. She's more concerned about the conflict that is brewing between the people of her home town and the people who live in the woods that surround them. Raina is just as fiercely loyal to her friends in the woods as she is to her family in the town. Caught between field and forest, Casters and warriors, farmers and hunters, Raina is determined not to choose a side. 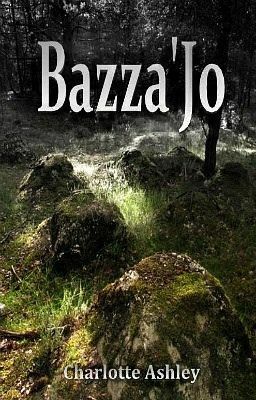 She is going to fight to protect them all against the distant powers who are trying to break them apart... Bazza'Jo is a Young Adult Fantasy inspired by the wonderful books of Philip Pullman, Kenneth Oppel, Frances Hardinge, Diana Wynne Jones and others! I hope you'll enjoy reading it as much as I enjoyed writing it!